Dr Sally Marlow speaks to Ruth Garde, Creative Director of King's College London's 'Arts in Mind' festival. Arts in Mind is a week-long festival, 4-10 June 2018, celebrating innovative collaborations between researchers at the Institute of Psychiatry, Psychology & Neuroscience (IoPPN) and the creative and cultural sector. It showcases work that explores new ways to improve wellbeing and facilitate a better understanding of mental health, the brain and the mind. I spoke to its creative director, Ruth Garde. What's your interest in the area of arts and health? I’m a curator, creative producer and writer. By great good fortune I began my career in the arts sector at Wellcome Collection, for whom I’ve worked on many projects over the last 14 years. 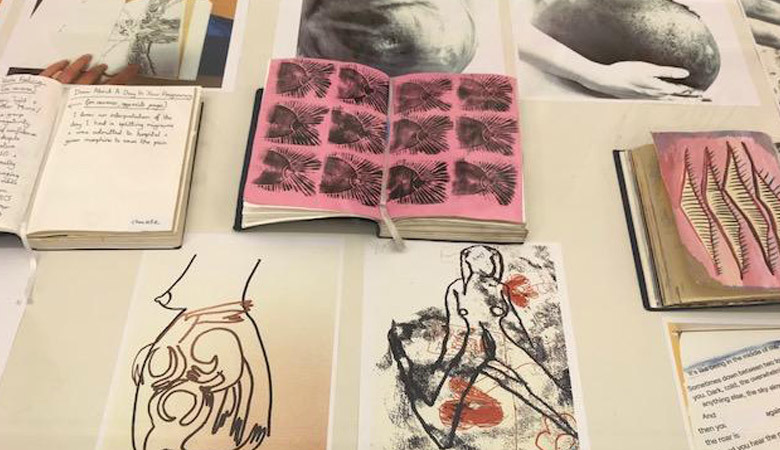 Their transdisciplinary approach to looking at the human condition has become part of my curatorial DNA, so producing a festival celebrating collaborations between the IoPPN and creative partners was a golden opportunity for me. What is your aim with this festival? Our aims are to engage audiences – both within and beyond Kings College & academia – in the work of the IoPPN and in how the arts can contribute to understanding the brain, the mind and mental health. We want to show the different ways in which the arts can enhance mental well being. Why are the arts such a good way to explore mental health, the mind and the brain? I feel that the arts can offer a really accessible and meaningful entry point for people into subjects that can be complex (in part down to the science and language involved) and challenging. The arts can reach people in a more immediate, sometimes more emotional and visceral way that can spark reflection and interest, sometimes unexpectedly. What does a curator actually do? As a curator/creative producer I work on exhibitions, displays and public engagement events. The role varies, but often involves conceiving, researching and shaping exhibitions, working with artists, writing exhibition texts, and often being one of the 'public faces' of the exhibition. As a creative producer – as on this festival – I’m responsible for the budgeting, scheduling, production and delivery of the events and a lot of liaising with artists, academics, and a wide array of departments to bring the festival into being! What types of work have you been particularly drawn to while curating the festival, and why? I’ve been drawn to projects that I can see have really strong public engagement potential – whether in terms of visual arts, performance, or participation – and which have a power to provoke thought, reflection, and on a more light-hearted note, pleasure! What have been the high points of curating this festival? Collaborating with project teams and Kings College colleagues. Collaboration is something I value very highly in my work. What challenges have you found curating a festival about arts and mental health? The challenges are more practical/logistical than anything else – it’s quite an ambitious programme so there are a lot of balls to juggle and a lot of liaising with a lot of teams. Which events/works would you highlight during the week for someone looking to an introduction to arts and mental health? Our #MagicCarpet event, hosted by the South London Gallery on Tuesday 5 June, explores mind wandering, ADHD and neurodiversity and will be a wonderful, dynamic event where the audience will participate in thought provoking conversations. Our Maternal Journal workshops and presentation (Wednesday 6 June; illustrated above in journals from participants) explores how creative practices can enhance mental wellbeing during pregnancy, while our Sashiko Sewmindful workshop explores how mindfulness can support postnatal mental health. Our concluding event, curated in partnership with Re:Create Psychiatry, will be a spirited debate around the contemporary status of the arts, mental health and clinical practice.